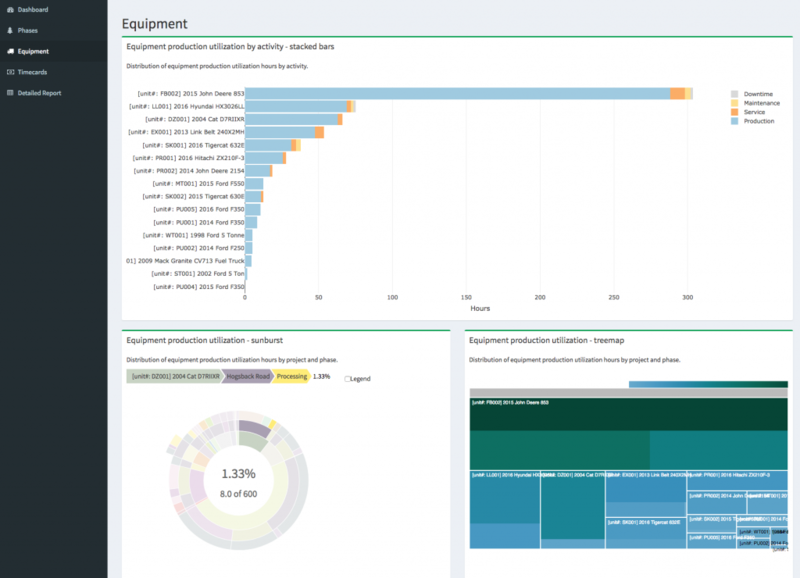 We created a custom data visualization web application for logging operations company. It features a dashboard showing the state of KPIs (Key Performance Indicators), and how they compare to established projected targets as well as industry benchmarks. 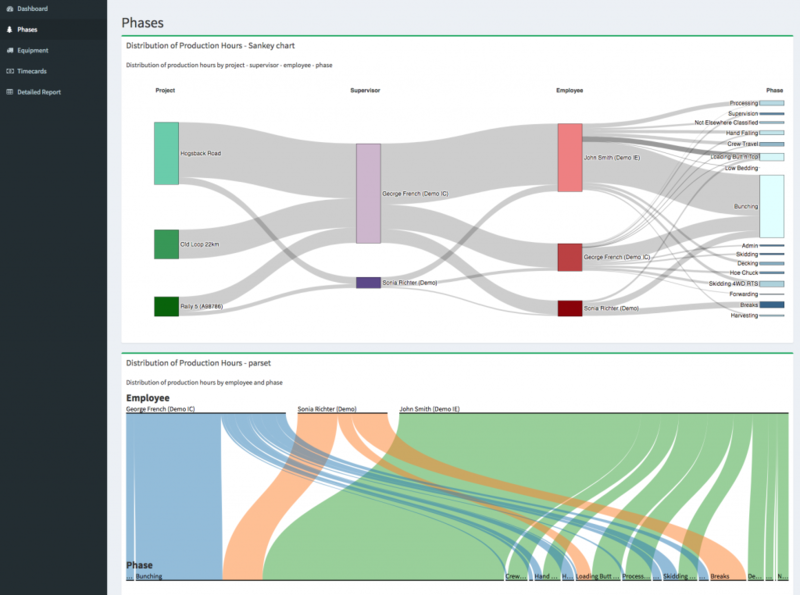 The app uses advanced data visualization techniques to show the production flow between different stages of logging operation, recognizing bottlenecks and areas of improvement. The analysis can be performed at the level of personnel, as well as equipment.